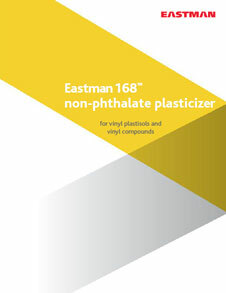 Admex™ 6187 from Eastman is a medium molecular weight polymeric adipate. Is characterized by a mild ester odor and light color. It is highly permanent and resistant to oil as well as solvent extraction. These characteristics make it ideal for applications such as gasoline hose and tubing, oil resistant electrical cable insulation, industrial boots, gloves, aprons. It is highly permanent as well as washable in wall and shelf coverings.